We are over-the-moon excited to introduce you to Tyrese Avery, a brilliant young artist in New York City. He is a spectacularly talented singer, actor and dancer. 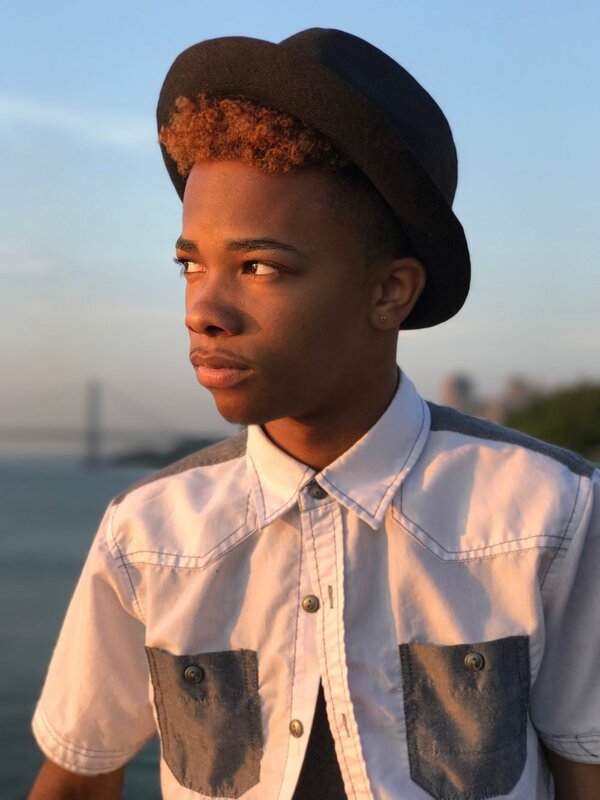 Tyrese is an 11th grade student at Democracy Prep Endurance High School in Harlem and is actively involved in the performing arts program there. He has stolen the show countless times, in numerous productions. In addition, he is an award-winning member of his school's speech and debate team and is a member of a musical group called HIS-TORY. We are so happy to have had the opportunity to interview him to learn more about his art and why it’s important to him, who his musical inspiration is and how arts education has impacted his life. One thing we know for sure is that this young man is a bright shining star! What is your art medium? Music has always been my first love. However, I’ve taken up acting and dancing and found that I have a place in all three. I’ve never been a visual artist in terms of drawing or painting, but performing arts is my calling. There’s nothing like it for me! My art is really the only thing I have to call my own. As a minority, and as a minor, a lot of things can be taken from you without question. Even your will power may be taken. On the contrary, nobody can ever take away your art and what speaks to you. Art is the one thing that is very unique to me and it runs throughout my family’s blood. However, nobody before me has had the opportunity to excel and practice their art. I want my art to engage youth and adult audiences alike. I want to bridge the gap so parents and children better understand and communicate with one another. I find it hard to narrow it down to one artist, but, growing up Michael Jackson was a huge influence for me. May he rest in peace. Without arts education via the likes of the talented Jerry Phelps, Sarah Rosenberg, Luis Cardenas, Norberto Troncoso, Lisa Kowalski, Dominic Colon, Kaitlyn Kenney, and Julie Haggerty, I would not be where I am today. Truly these individuals have changed my life and I am eternally grateful for it. Tyrese Avery, a Junior in High School, is a scholar who has a yearning for learning when it comes to the arts. He is constantly engaging in extracurricular activities such as Speech and Debate, School musicals, and Open Hydrant Theater Company on weekends. 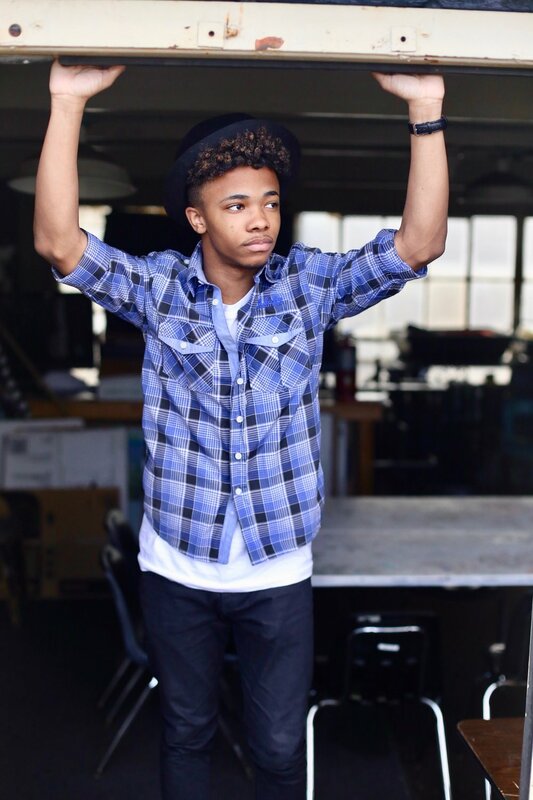 His past projects have included Lion King Jr. (Rafikki), Hairspray Jr. (Link), Aida (Mereb), High School Musical (Zeke Baylor), and In The Heights (Benny). His upcoming endeavors include Fools in Love (Puck), West Side Story (Tony), and Cinderella (Prince). Other projects that are in the works include a workshop of a play in which he plays a Harry Potter like character (HP) who is the imaginary friend of the protagonist. This is a coming of age story of the protagonist who watched her parents go through cheating and separation. He also has his own musical endeavors with his colleague and partner Clayton Fountain (ClayClutch) as part of their musical group, HIS-TORY. Tyrese is also an acceptant of the BADA Conservatory program in Oxford England.